Keeping your fleet of vehicles on the road is our number one priority and we have the staff and knowledge to keep your fleet running at peak efficiency. We perform all standard fleet repairs, like oil changes, transmission repair, brake and engine services, but that is really just the beginning at Pin Oak. An in-house dedicated fleet team and large service & repair shop means that Pin Oak can provide all of your vehicles (and other equipment like skid steers, backhoes, loaders, and more) the attention they need fast, so your downtime is minimized.  Our Fleet First Program is a worry-free fleet management solution developed exclusively by Pin Oak Service Center. As “The Fleet People” we understand how important it is for your fleet to run at peak productivity as well as the headaches that come when problems arise. That’s why Fleet First provides comprehensive peace-of-mind with beneficial features including a fleet maintenance plan, 24/7 roadside assistance, discounted parts and labor, a unique purchase and selling program, free pickup and delivery and more! For more information on the Fleet First program, call to speak with our Service Advisor.